The SVoD world shifts at a rapid rate with developments emerging continually. There are a few legislation movements that trigger major changes in the strategies of anyone involved in online video delivery. One of the most significant pieces SVoD news that has come to light recently is the EU localization quotas that have been launched. These brand new quotas obligate the likes of Netflix, Amazon and other noteworthy streaming services operating within the European Union to dedicate at least 30% of their on-demand catalogs to local content – and soon these rulings are going to become official by law. Once this new law is cemented, SVoD services operating in the EU will have to fund TV series and films produced in Europe by commissioning content, acquiring it or funding national film trusts through a small surcharge that will be added to their subscription fees. And this initiative is already present in Germany. 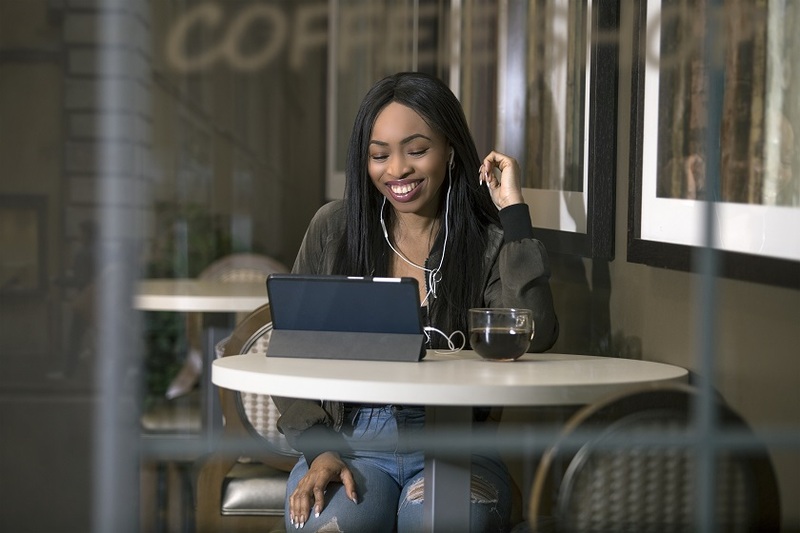 In response to this disruptive shift, local players in a variety of markets – both new and established – have launched OTT services of their own, with gusto. Global players may have created the bulk of financial value, but most of the 500 OTT services are based in a single domestic market. To cement local success, players in specific marketings have employed savvy tactics including offering robust catalogs of both amateur and professional offerings; acquiring a healthy mix of domestic and foreign content, and in the sports sector, some services have started to offer a raft of semi-pro or localized college-level content to gain a market share. 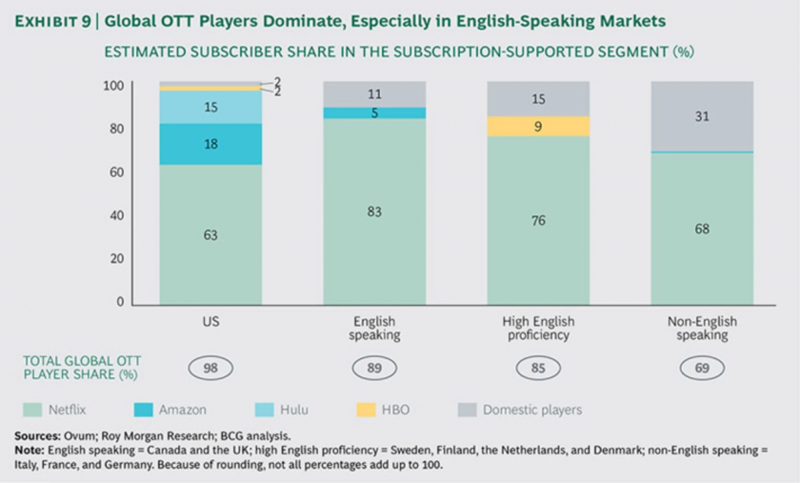 According to BCG, streaming services are comfortable with their existing content sold in the English-speaking countries. But, when they aspire to go after the substantial market of non-English speaking countries, then, the need to go local becomes a top priority. To enjoy maximum localized SVoD success, it’s clear from this chart that local language programming and support is needed to deliver true value as well as a seamless level of user experience to subscribers. SVoD is shifting towards a localized experience, and while some of this has been forced upon content providers, this migration does offer a wealth of opportunity. For guidance, SVoD players should look at the telcos and their ability to appeal to local audiences through logical initiatives and solid local partnerships. By changing embracing this monumental change and forming the right strategy, the localization of SVoD could be very fruitful – you just have to make the right choices.